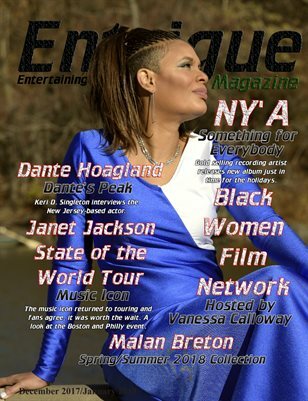 Entrigue Magazine brings you articles on today's music and dance artist, Fashion designers, and rising stars of tomorrow. In this issue you'll find our interview with gold-selling R&B singer/songwriter Ny'a, 2018 Spring/Summer collections by Imane Malan Breton and David Tupaz. You'll also find an exclusive photos from New Edition's Ronnie Devoe's 50th birthday celebration, interview with actor Dante Hoagland (New Edition Story), and much more.